What does the 2016 Federal Budget hold for small agricultural businesses? The new financial year is here, and with it businesses around the country are sorting through and finalising their plans for the 12 months ahead. One of the big items to consider is expenses, and what major purchases will need to be made. This time around, July 1 also brings a boon to Australia's smaller businesses – the expanded asset write-off program. For certain organisations, this initiative provides an affordable way to purchase necessary tools and equipment. What do business owners in the agricultural sector need to know about the program? The asset write-off program is not new; it was established in the 2015 Budget. What makes the new rules significant is the guidelines, which now open up the initiative to a much wider range of organisations. As of July 1, any business with annual turnover under $10 million can write off purchased depreciating assets valued at less than $20,000. Previously, this program was only open to businesses with turnover below $2 million – so this increased eligibility will bring the benefits to many more organisations. Businesses with annual turnover under $10 million can write off purchased depreciating assets valued at less than $20,000. Businesses making a purchase under this initiative can immediately deduct the full value of an asset – whether bought new or used – from their yearly income, significantly reducing their tax burden. Under this program, smaller agricultural businesses will find it easier to obtain equipment like belt scales for use in grain silos, flour mills and other suitable applications. As an added bonus, this immediate deductibility can be applied to any number of purchases – each individual item purchased, however, must remain under the $20,000 limit. Already, Australian businesses are seeing the results of the asset write-off program – with those previously eligible taking advantage of the ability to more easily afford new purchases. According to CPA Australia, 30.8 per cent of small businesses responding to the 2015 Asia Pacific Small Business Survey saw the initiative as a strong motivator to make new purchases, while 35.9 per cent plan on taking advantage of it in 2016. For those organisations planning on making a purchase under the initiative, the clock is ticking; after June 30, 2017, the limit for eligible purchases drops to $1,000. With that in mind, this really is a great opportunity for farmers and processors to invest in bulk materials handling equipment. The asset write-off program makes new equipment purchases like belt scales more affordable. To learn more about our solutions for the agricultural industry, and other options for equipment financing, reach out to SRO Technology today. 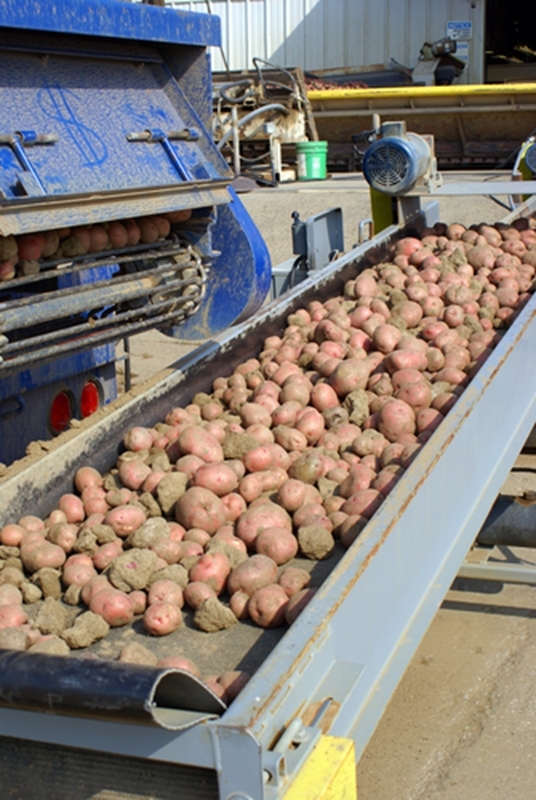 Technological ways for businesses to improve agricultural output Measurement inspectors target fruit and veg trade New equipment key to improving productivity in the mining sector How inclined are businesses to spend on new equipment?